Wool tallit is available with a number of tie and tzitzit/string types, including hand made and techelet (blue dye) tzitzit. The Tallis Hameshubach looks like the tradition wool tallis but it’s completely upgraded. Every part of the tallis has been recreated with the most advanced state-of-the-art techniques. This special white 100% wool tallis, is weaved and intertwined to eliminate the tallis slipping that is often experienced with the regular wool traditional tallis. It is extra durable, and stain resistant. All four corners have an extra piece of wool material for reinforcement. Both sides end with knotted fringes. The tzitzis strings have been improved as well. The “kesher shel ka’yama” technique has been implemented to keep the knots from opening. The “no fray tzitzis” will keep the tzitzis strings ends from fraying. 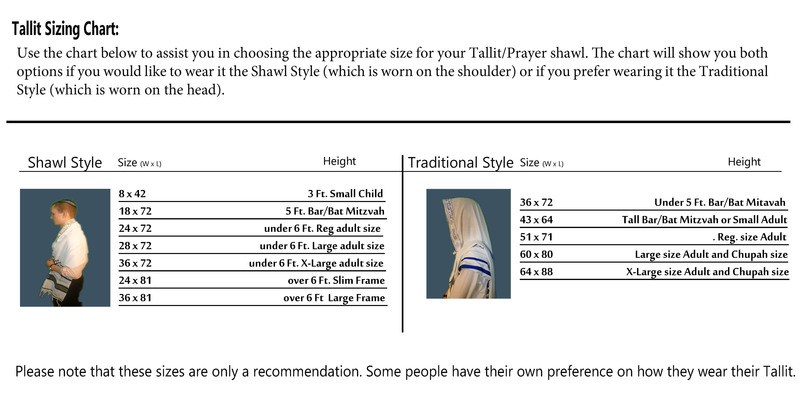 The Tallis Hameshubach has the white classic atarah neckband. 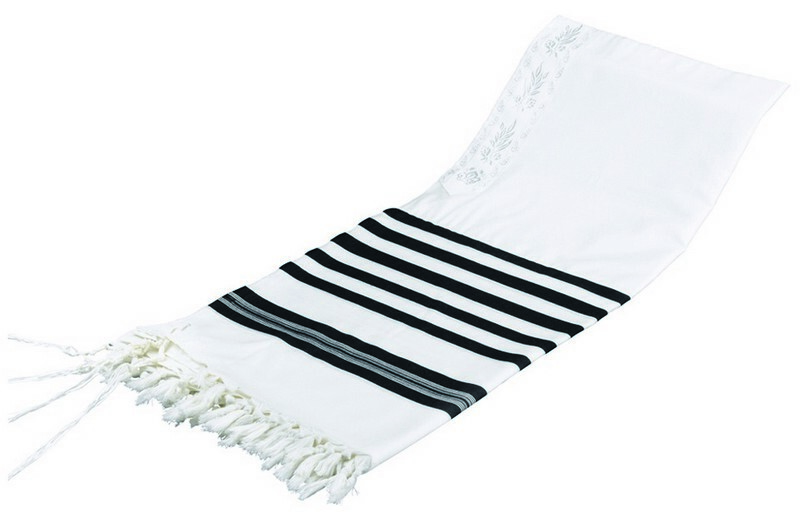 The tallit is available in white/black or white/white styles.